Master blacksmith and 2016 Craft Apprentice Program (CAP) master artist Doug Wilson’s work has been included in numerous national exhibitions and publications. 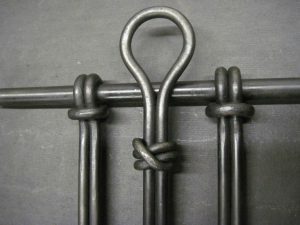 He has been a demonstrator at national and international blacksmithing conferences including six National Conferences for the Artist Blacksmith’s Association of North America (ABANA). 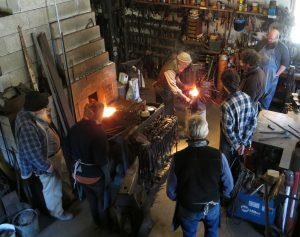 He is the founder of the Colby College Blacksmithing Jan Plan Program and continues to teach at nationally renowned craft schools including the Haystack Mountain School of Crafts and the Penland School of Crafts.